A cover letter is your opportunity to express your personality a little. In a CV there is no space to introduce yourself on a personal and detailed level. This is the function of the cover letter. In many ways it is an outdated and obsolete entity. The original function was for when we used to send CVs in the post. Back then, looking for a job wasn’t as easy as pinging across an email with an attached CV. The role of the cover letter (so named because of its original role as the cover page of a posted CV) was to explain exactly why you were sending a CV. It also specified which position you were interested in, as a big company would likely have several available vacancies at one time. So maybe a cover letter is something of an old fashioned ritual, especially now that we live in a world where physical paper isn’t sent around as much as it used to be. In the past it needed to be specified, nowadays it is more clear which position a candidate is applying for, as they almost always apply online. Whether this is true or not, the recruitment world is one where everyone is on their best behaviour, and formalities, obsolete as they may appear, are often the difference between two strong candidates. If the competition is playing by those rules, you’d be very brave to go against the grain. Make sure your CV is looking on point, and get started on that cover letter! What should my cover letter look like? 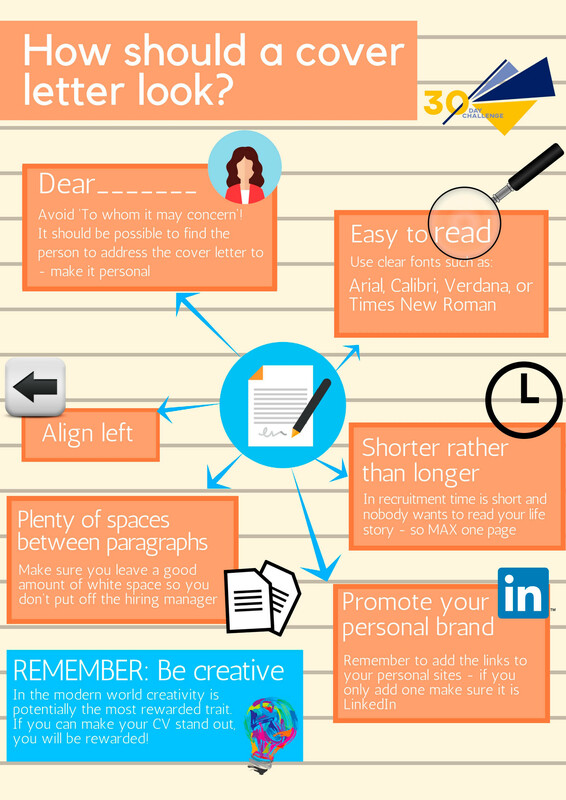 We have put together an informative image of some basics to remember about your cover letter. Our biggest piece of advice? Don’t make it too long. Stats show that recruiters prefer a half page cover letter to a full one. There’s nothing like a big chunk of unbroken text to put off potential employers. Also, sending a generic impersonal cover letter is almost counterproductive. The whole point of the cover letter is to explain what you can bring to the company in the specific role you are applying for. In certain circumstances, especially if the recipient is someone you’ve already met or is a personal connection, you might consider handwriting a cover letter. It proves that this is not a generic application and shows real commitment to the application. The likelihood is that no other applicants made that much effort. Be aware, however, that your handwriting could play a big part in the recipient’s impression of you. So we’ve established that a cover letter is a good idea. But the question that so many candidates struggle with is: How long should my cover letter be? The common worry is having too short a cover letter and appearing to be making little effort. Our biggest piece of advice? Avoid lengthy, boring text at all costs. Stats show that recruiters prefer a half page cover letter to a full one. There’s nothing like a big chunk of unbroken text to put off potential employers. You may put them off even reading it altogether if it looks like too much time and effort to read. What should a cover letter have? Remember that your cover letter is not your CV. This is your chance to introduce yourself as a person, convey why you are the perfect candidate and precisely why you would fit this role in particular. Be personal – Avoid Sir/Madam and To whom it may concern. Address it to a person. With the internet it is easy to find out who the recipient of your cover letter will be. 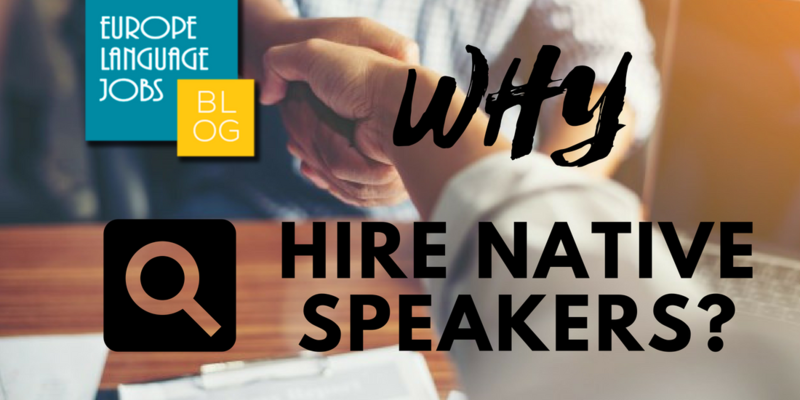 Tell them why you like the company – Too many candidates feel that the cover letter is simply further opportunity to big themselves up. Tell the company what appeals to you about them and the position. In other words, take the opportunity to big them up. THEN tell them what you offer – Simply telling them what your skills are isn’t enough. You need to apply your skills to the company. In other words tell them why you will be an asset to their company. Show warmth – People want to work with nice people. Therefore you should maintain a professional but kind tone throughout the cover letter. 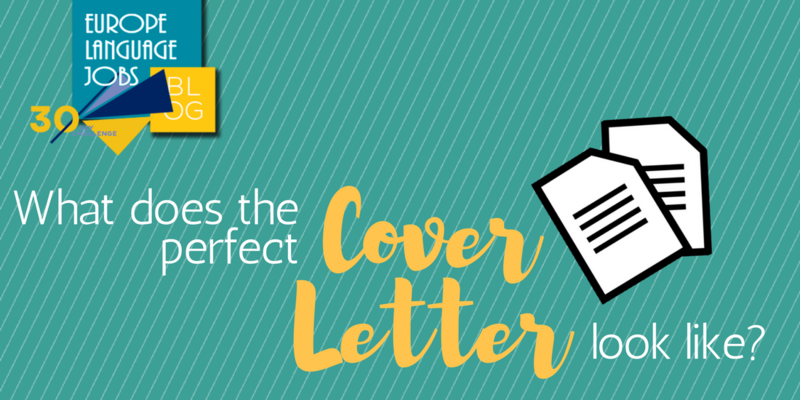 a good article which gives you the ability to write the right cover letter. posted 1 year ago by Giacomo A.
I used to run translation projects myself. never had the time or patience to go through cover letters, though - always jumped to CVs. 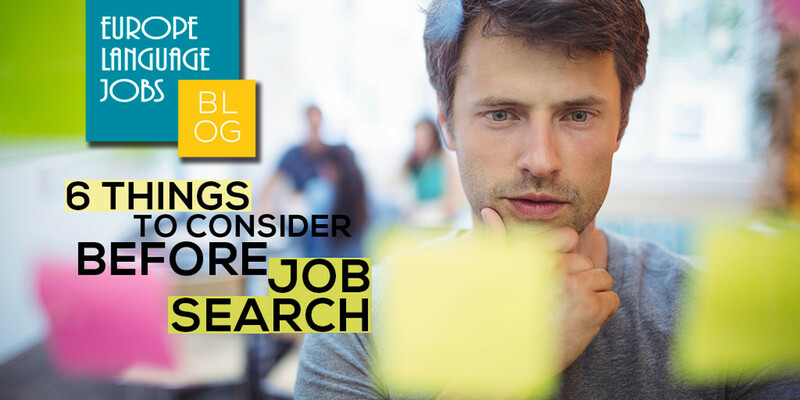 If you want to succeed in your job search, make sure you consider these 6 important things first!